Hitting plan requires a healthy sales pipeline. If you are worried about sales performance for the second half or you are recovering from a challenging quarter, here are 5 ways you can get back on track to make your yearly sales plan. If your results aren’t where they need to be, the first thing to look at is your sales pipeline. In our work, we help sales organizations recognize four types of pipelines. When assessed, they can reveal a lot about your salesperson’s focus, activity, opportunities and territory coverage. A healthy sales pipeline has lots of prospects at the start of the sales cycle. It has lots of opportunities (with a healthy undiscounted dollar volume) and it is consistently delivering sales each month (or each period that is realistic to deliver sales). A false hope sales pipeline has lots of prospects, lots of opportunities and yet it does not deliver closes. Everything seems strong, but each month seems to end with excuses instead of deals. Typically the false hope is in the opportunities, not the prospects. Often there are opportunities that should be removed as they are no longer active or realistic to close. Some salespeople like to keep everything on the pipeline as that is their reminder to stay in touch. A thin sales pipeline has a few prospects, a few opportunities and it has infrequent closes. The good news is that the salesperson can move a suspect to prospect to an opportunity and then close. The bad news is that the volume in all stages of the pipeline is not nearly enough. A congested sales pipeline has lots and lots of prospects but few turn into opportunities and thus very few closes. Healthy top of the pipeline but the rest is congested. Although the salesperson is good at identifying prospects and booking meetings, they may not have uncovered the priority need or be speaking to the right stakeholder. You may also find that they need support with their meeting/call structure. If your sales pipeline isn’t healthy, the next thing to look at is activity. To drive increased sales results, review the quantity and quality of current activity. To improve quantity, consider making proactive calling a team sport. Two or three times per week, kick off prospecting as a team in the morning. Set individual goals and come back together mid-day or at the end of the day (either on a conference call or in-person) to debrief. This will increase the number of first meetings, create consistency for prospecting and hold everyone accountable to their proactive calling goals. To increase quality, you can have salespeople team-up. The benefit of doing these “Paired Prospecting”, as we call them at DoubleDigit Sales, is feedback received from peers. It has the added benefit of making prospecting more fun. 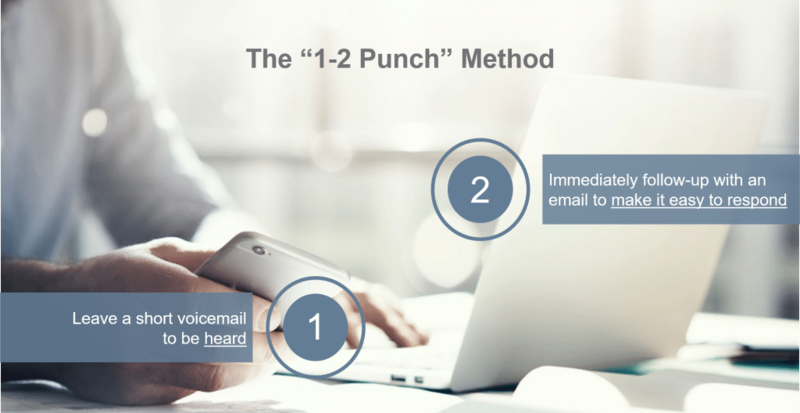 An approach that increases both quantity and quality of activity is the “1-2 Punch” method. Have your team leave a short voicemail to be heard, then follow-up with an email to make it easy for the prospect to respond. Our latest sales culture research shows that the best sales organizations use pipeline reviews to drive sales productivity. You’ll also promote accountability by leading pipeline meetings on a weekly basis. Rather than reviewing every opportunity line by line, ask questions and be curious. Provide coaching on priorities and focus areas that will increase performance. Remember that pipeline is just one side of the equation; make sure you uncover the story behind the numbers. Holding frequent pipeline reviews may put pressure on your sales team. As the leader, you can shift the energy from your team feeling pressured to feeling motivated. Like a ship with limited time to get everything ready, you’ll need all hands on deck. Create an “in this together” mentality by infusing fun that creates energy and balance. This brings us to our next point. Gather your troops for 30-60 minutes on a weekly basis to set the focus and build engagement across your team. Don’t be afraid to infuse some fun. Sharing a theme for the week, creating a contest or game will help create energy and maintain balance from the pressure being put on the team. 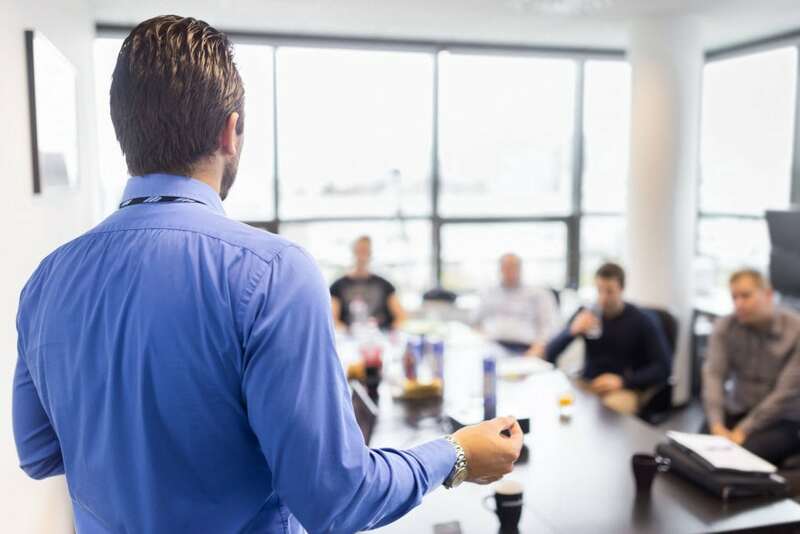 In setting the focus for the week, reinforcing key selling behaviors and collectively solving challenging problems, you’ll strengthen your team’s sales performance. Take the time to reward and recognize your salespeople. The goal of a reward and recognition program is to reinforce the right behaviors and acknowledge them in such a way that your team is motivated to continue to exemplify them. Choose wisely when determining how to reward and recognize the efforts of your team – one size does not fit all. It could be a quick thank you note, recognition in a newsletter or tickets to a sporting event. Either way, make sure it resonates. Variety in frequency, value and rationale will help keep your team engaged and motivated. While targets may be hard numbers, it’s the behaviors that drive those results that you have influence over. When building a plan to strengthen your team’s sales performance, focus on adding value in a way that motivates and inspires your team to deliver excellence. If you need support to increase your sales performance, don’t hesitate to contact us. Our team would be happy to partner with you to ensure you and your sales team have the competence and confidence to make plan this year.